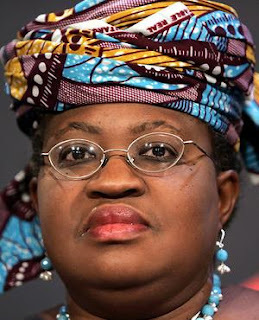 Ngozi Okonjo-Iweala wish to emerge the President of the World Bank, a job with $420,920 per annum pay package excluding a lucrative pension package, is really much like the proverbial camel attempting a passage through the eye of the needle. Standing tall against her ambition is America’s might and Obama’s pride as well as long years of tradition. The tradition has always been for America to nominate the President of the World Bank while Europe nominates the Managing Director of the International Monetary Fund. This tradition has been maintained for decades despite the fact that as at when it was put in place, the World Bank and IMF’s membership were nowhere near its current 187 member countries. The tradition of America and Europe maintaining their traditional leadership of both world bodies is maintained by the voting structures in place. The World Bank President is elected by the 25 member Executive Directors of the World Bank which represent its 187 member states. The United States, Germany, Japan, United Kingdom and France are each allowed to nominate a member of the Executive Board of the World Bank. Recently, also Russia and China and Saudi Arabia have joined the countries that nominate a member to the Executive Board. The remaining 180 members of the World Bank are then allowed to elect the remaining 17 members to the Executive Board of the World Bank with each member representing several countries. Voting among the Executive Board for the President is not also done by one man one vote or by one country, one vote. Voting power is distributed among member states according to the financial contribution of each member state to the capital of the World Bank. In this wise, the US has the largest votes among the Executive directors followed by each of the European Countries and Japan that are allowed to select an Executive Director. The United States, Germany, Japan, United Kingdom and France, between these five countries hold 35% to 45% of the votes at the World Bank Group. 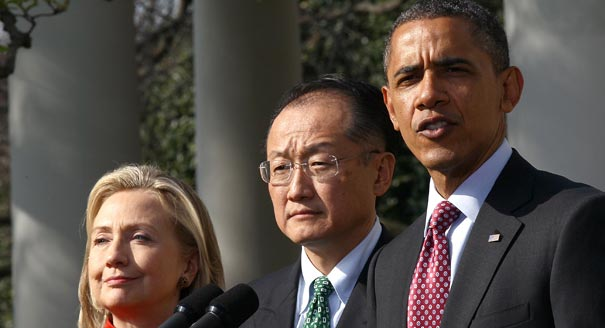 Europe will most certainly vote for the US nominee for the World Bank President. It is a tradition and also pay back time since the US also will always support the European nominee for Managing Director of the IMF. Japan will traditionally vote with the US as a traditional ally and besides the US nominee is originally from a neighbouring country in Asia. Okonjo-Iweala may have had a chance if all emerging countries were to back her up. However, with the backing of Russia, which is also represented by a single member at the Executive Board, other emerging economies have put forward Jose Anthonio Ocampo, a well-respected economist from Brazil as their nominee for President of the World Bank. Jose was recently endorsed as the best candidate for the job by 100 economists even as Ngozi has been endorsed for the job by former staff of the World Bank, the Financial Times and The Economist all respected publications. Even without another candidate dividing the votes of the emerging markets, it would have been an uphill task for Okonjo-Iweala to emerge World Bank President purely based on the merit of her position. The truth is that the moment Obama nominated Jim Yong Kim for the World Bank job, any other person seeking that job effectively was non-starter. The large voting power held by the US in the other multilateral institutions of the World Bank ensures that the US has a strong leverage on other member countries of the world bank who may desire favours in future in other institutions of the World Bank. The only way the US nominee will lose in this race is if the US voluntarily withdraws its candidate from the World Bank job. The chances of that happening in an election year, most US commentators say, is zero. Nonetheless, Okonjo-Iweala’s and Jose Ocampo’s entry into the World Bank race is a strong signal to the developed world that it is no longer business as usual in the multilateral institutions. It is no longer permissible for citizens of any country to be denied a global job just be because he is not from the US or Europe despite the fact that he is well qualified for the job. Emerging economies may just be forced to float parallel organisations if they are continually treated as second citizens in the existing global institutions. What does Boko Haram really want?